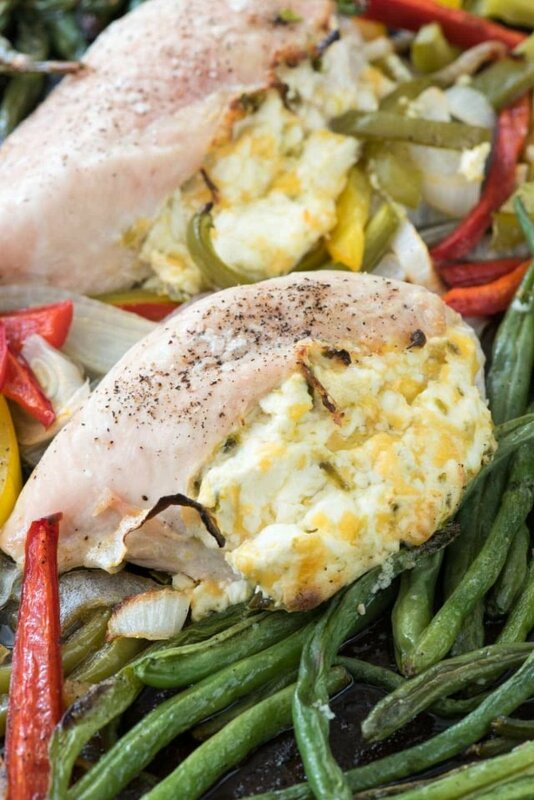 This Jalapeño Popper Sheet Pan Chicken is TO DIE FOR. 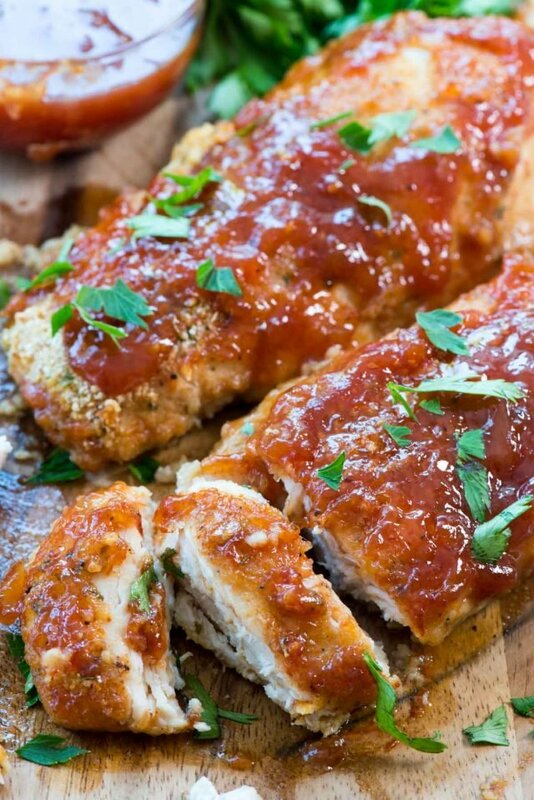 It’s like eating your favorite appetizer stuffed in a chicken breast! This sheet pan meal is an easy chicken recipe that’s the perfect weeknight meal. Until about a year ago, I’d never had a jalapeño popper. I grew up from a super picky kid into a semi-picky adult, so sometimes it takes me longer to get where everyone else already is. When I had my first jalapeño popper it was like heaven; how had I waited so long to try it?? This seems to be a trend with me: lemon, avocado…and now poppers. I have a good friend whose husband is an amazing cook. I’ve tried for years to get him to let me post his recipes because they are to DIE FOR. In fact, Jordan requested his pecan pie for her birthday dessert (and it’s way better than my regular pecan pie recipe, which is saying a lot). He made the jalapeño poppers I tried for the first time; they were full of cream cheese and cheese and I think there is even sausage in his recipe. One time, at a party, I ate about 10 of them and dearly paid for it for days. Those poppers were the inspiration for this Jalapeño Popper Sheet Pan Chicken meal. I’d never made a sheet pan meal before this recipe and I’m kicking myself because they’re SO EASY. I’ve made a few different variations several times since we enjoyed this one. Throw all your ingredients onto a sheet pan and bake until done. It’s the easiest meal, perfect for busy weeknights. Easy clean-up too! Jalapeno Popper Sheet Pan Chicken is an easy weeknight meal full of the flavors everyone loves: cream cheese, jalapeños, and cheese! I love a good stuffed chicken recipe. Chicken can be so boring! We eat it all the time and it gets hard to find new ways to make it. Stuffing it with a spicy cheesy mixture is just the thing you need to kick your old chicken recipe up a notch. Paired with roasted vegetables, it’s really the best go-to easy meal. I absolutely LOVE every single roasted vegetable. In fact, I can eat roasted veggies all day every day if given the chance. If you’ve never stuffed chicken before, it’s really easy. Just mix up your stuffing ingredients (in this case, cream cheese, cheese, and pickled jalapeños), slice the chicken open to create a pocket, and stuff the filling in. If you’ve never made a sheet pan meal before, you’re missing out. It’s probably the easiest way I’ve cooked in forever; all you have to do is pick your protein and vegetables, throw them on the pan and bake until done. I used green beans, peppers, and onions for my meal, but you can choose your favorites. 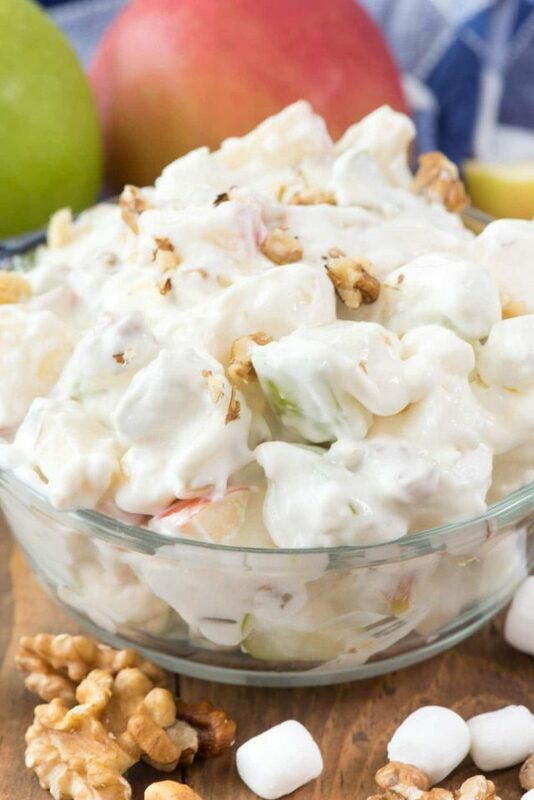 If there is one thing you have to choose, it’s Challenge Cream Cheese. Using the best ingredients makes the best meal, after all. 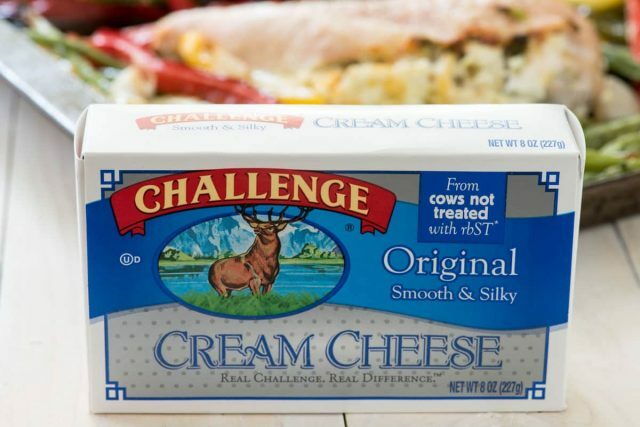 Challenge Cream Cheese is creamier and smoother than it’s counterparts, and it’s full of real ingredients with no added preservatives or hormones. Plus, it’s local for me, which I love. Challenge is made using a California Co-op that was formed over 100 years ago, but the products are available nationwide. Moral of the story: I really think Challenge has the best cream cheese. I’ve tasted lots of brands and I pinky swear to you THIS one is the best one. Sheet pan chicken really is the perfect meal – the entire meal all in one pan! Make sure your chicken breasts are uniform sized for even cooking. If you like your veggies less done, start the chicken for about 10 minutes then add the vegetables later. Jalapeño Popper Sheet Pan Chicken - this EASY chicken dinner is a sheet pan meal that's done fast! 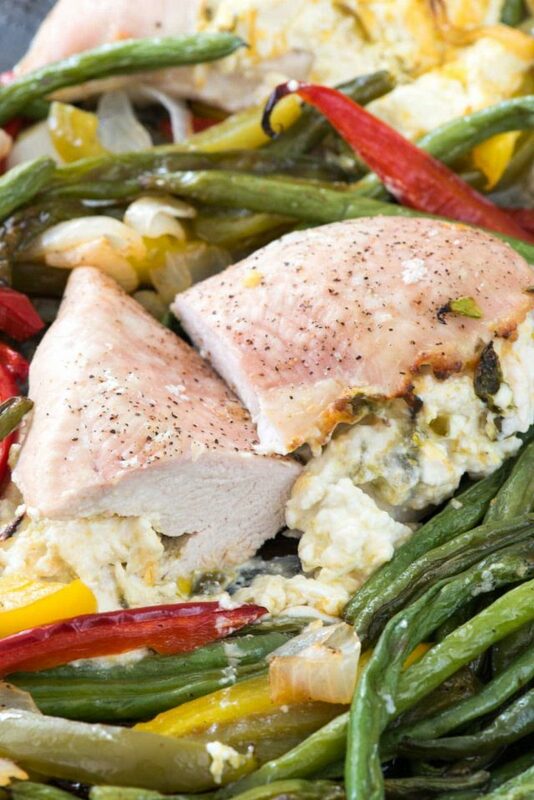 It's the perfect easy weeknight meal; chicken breasts stuffed with a creamy jalapeño mixture! It's done in under 40 minutes and was perfectly cooked. Preheat oven to 425°F. Spray an 18x25” rimmed baking sheet with nonstick cooking spray. Stir together cream cheese, jalapenos, and cheddar cheese. Slice each chicken breast open slightly and stuff 1/4 of the cheese mixture into the center of each breast. Season breasts with salt and pepper. Toss peppers, onions, and green beans with olive oil, salt, and pepper. Place the chicken in the center of the prepared baking sheet and the vegetables around the outside. Bake until the thickest part of the chicken is no longer pink and the vegetables are cooked, stirring the vegetables halfway through baking. This will take 25-35 minutes, depending on the thickness of your chicken. Glad you’re on board the sheet pan train! 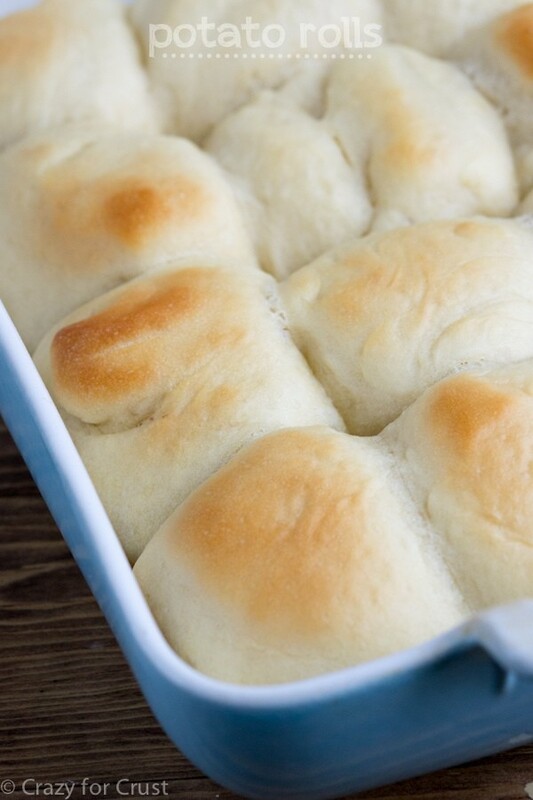 Makes weeknight dinners easier! Your friend’s husband sounds like he needs a food blog! I love this!! I always find myself making the same kind of chicken ALL. THE. TIME. and this is exactly what I needed to see 🙂 That cheese and those jalapenos, love love love it! This looks great! So many variations can be made from this idea. i love love love this!! jalapeno poppers are one of my all tie faves, and stuffed in chicken is dinner perfection! Sheet pan dinners are so easy! I usually just toast everything with evoo and salt and pepper. This recipe will give us a nice change. Fabulous! This is so good! LOve your recipes.